Sometimes mistakes make you have to think on your feet and you end up creating something pretty damn good. 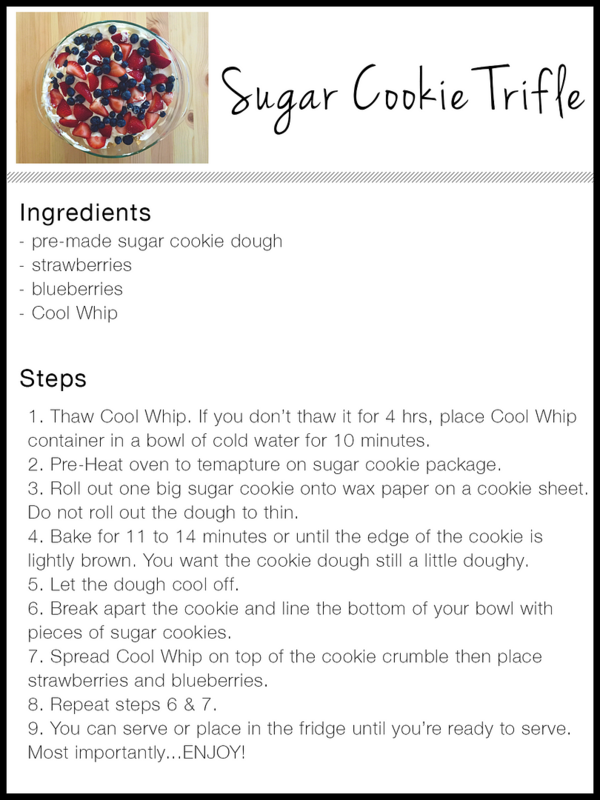 My husband and I had this idea of creating sugar cookie strawberry cups using Pillsbury sugar cookie dough. Well not fully thinking this through when I pulled out the muffin tin and let them sit they started to fall apart. I hadn't thought about the consistency of the dough holding up. I already had used a whole roll and a half of dough, so I didn't want to toss it all out and buy new dough and to do a sheet. 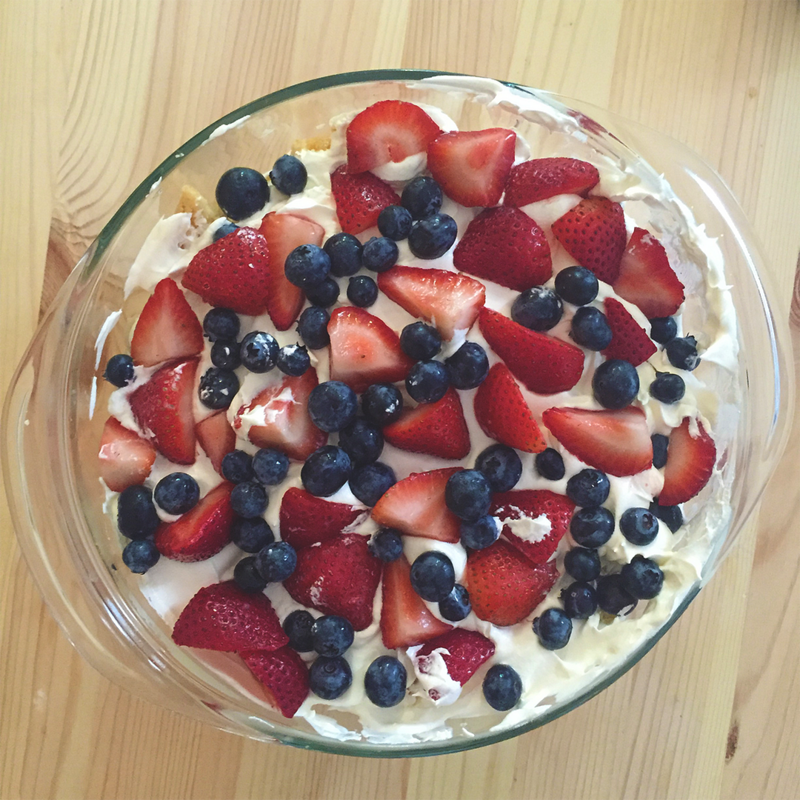 With some quick thinking on my part, I switched it up to a trifle. 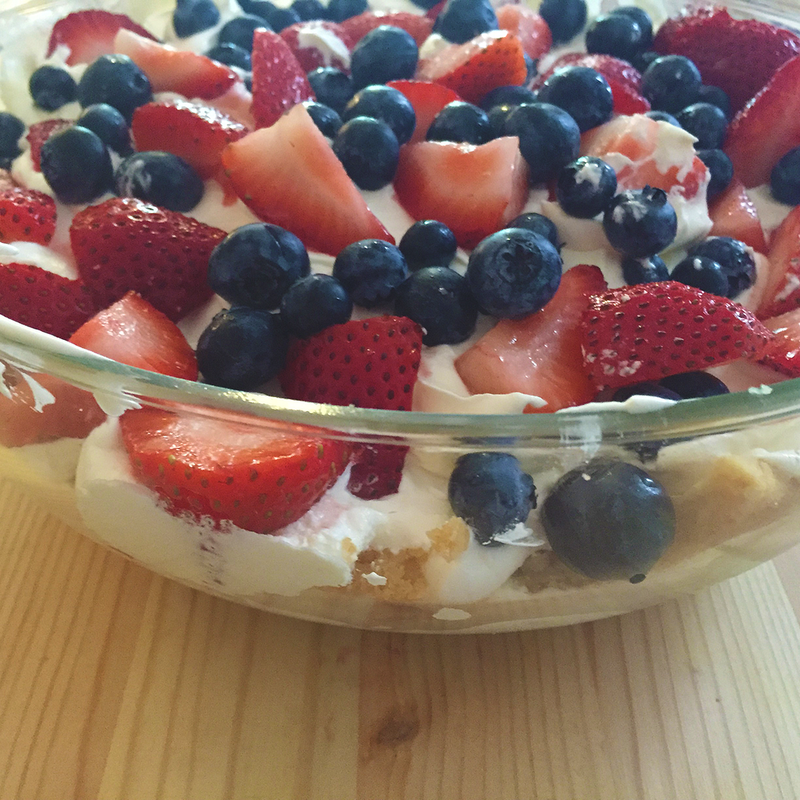 Okay more like a "trifle" since we are not fancy and don't actually have a trifle bowl. Either way it worked out PERFECTLY! 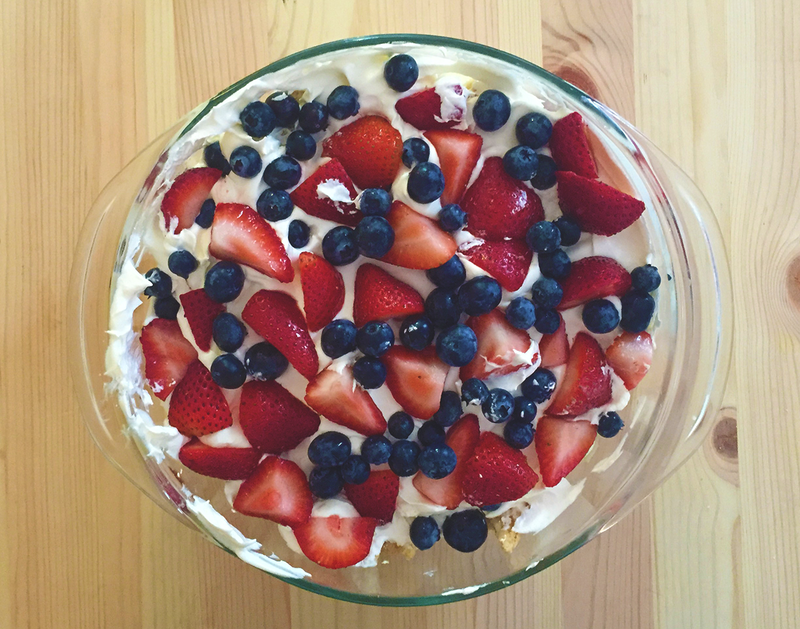 This is the perfect quick summer dessert for backyard BBQs or pool parties.